Why did we ever start wine tasting? Ever had an invitation to a grape tasting? No, not wine. Grapes. If you were, I wouldn’t be surprised to hear that your ‘sock drawer desperately needs tidying’ that day, or your great-aunt Mildred is in town and insists on taking you out for high tea. You probably have your suspicions about why you’d find yourself reeling off the excuses, but you’ll be pleased to learn that it’s about more than alcohol! Wine educators sometimes get excessively excited about this sentence, but that’s because it is important. Fermentation produces alcohol, which automatically puts it in our good books. But the real reason we choose grapes over other sugar-rich fruits like, say, raspberries is that when you ferment a raspberry, the resulting drink tastes of (guess what?) raspberries. Which is rather limiting. Grapes, however, have a curious quality in that when they ferment and age, other reactions like esterification (another exciting concept for wine chemists) take place and the result is a drink that tastes only vaguely of grapes. Even more interestingly, they also develop to evoke flavours of other fruits like raspberries, gooseberries, cherries and a banquet of others, and hints of a floral, herbaceous, savoury or earthy palate. Wine tasting, consequently, is complicated. But exciting, if your tastes are anything like mine. Different grapes have particular signature flavours and aromas. If you talk to a French vintner, it’s even more nuanced and the word ‘terroir’ will almost certainly be spoken. Giving so much credence to an esoteric combination of grape, climate, geography, geology and tradition may seem naive to sceptics, but blind tastings show that at least some wines do have a taste unique to their place of origin. Comparing a Sancerre to a Marlborough Sauvignon should convince even the most diehard ‘non-terroirist’! The art of choosing between all these varieties is additionally complicated by the fact that the world of wine is expanding. Forty years ago, wine was French, Italian, Spanish, Portuguese or German. No one talked about the rest, and that’s how it had been for several thousand years. Then along came Australia, Chile, Argentina, South Africa and the US, and an explosion of flavours and jump out of the glass fun. Now we have what might be called the ‘new old world’, places that have been making wine for a long time and are now making a comeback from their sorry, forgotten states. In this category we could put England (believe it or not, we were known winemakers in Roman times), Georgia, Armenia, Turkey, India, Hungary, and a whole host of others. Now, with all that choice available, it’s no surprise that the whole process of selecting a bottle is shrouded in confusion. And in our haste, we’re prone to reach for that old familiar bottle. 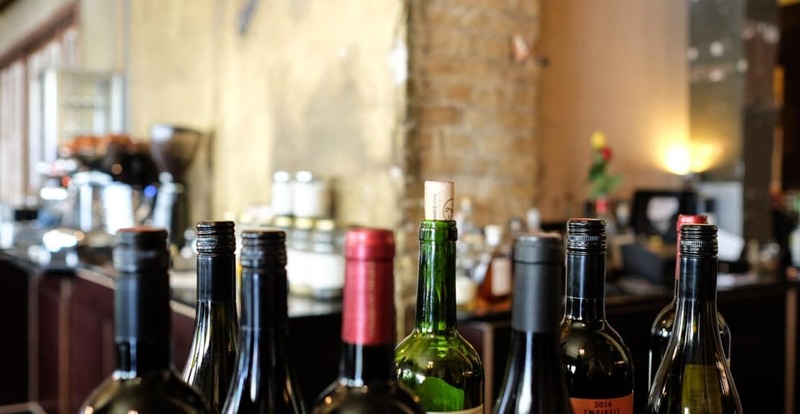 The average time between buying and consuming a bottle of wine in the UK is 48 hours, which suggests little interest in accumulating a diverse collection of varietals. I’d guess that even means some of those bottles were cracked open – or, more likely, the lids unscrewed – before the revellers even made it home! But I’m not here to lecture you on your drinking habits. The moral of this story is simply that we should be spending a little more time choosing the wine we drink, for the sake of exploration. Rather than buying the same blend as yesterday, choose the bottle next to it and test your palate. You can learn more about the world of wine with Gilbert Winfield himself at regular wine tasting sessions with Winfield Wines. In one class, you’ll test an incredible 16 wines, while you indulge in a three-course lunch. It’s relaxed, and fun – as you can probably tell from the tone of Gilbert’s writing – so there’s no need to feel intimidated!